Wash and cut potatoes in half (leave skin on) and arrange on cookie sheet. Coat potatoes with oil, onion powder, garlic powder and Italian seasoning. Toss gently. 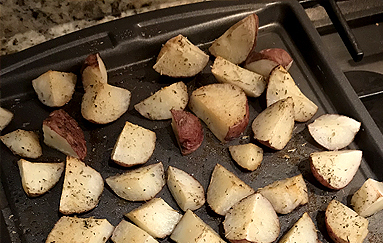 Cook potatoes for approximately 30 minutes or until cooked through.